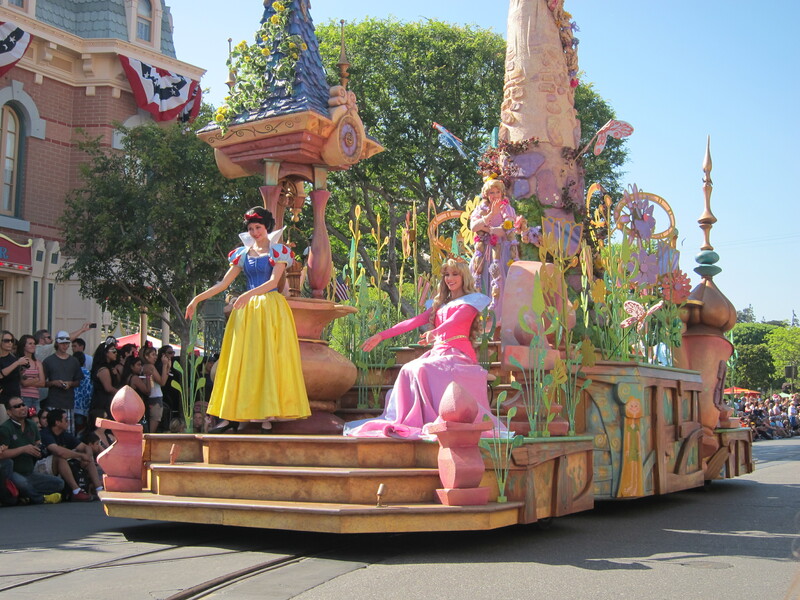 Disneyland Parade, June 2013. Photo taken by Deanna from A Novel Glimpse. Thank you to Alyssa @ Reading, reading, READING for tagging me to do the Disney Book Tag. The Disney Book Tag was created by Katytastic on her Youtube channel. You can watch the original tag here. I’m excited to participate. With a seven-year-old in my house, everything is Disney these days, so this fits right in. If I’ve reviewed a book mentioned in this post in the past, you can click on the book title to read the review.Here we go! The first character that popped into my mind is Piper from Five Flavors of Dumb by Antony John. Piper is suddenly made manager of her high school’s favorite rock band and she has to prove she can get them a paying gig — only Piper’s deaf. She can’t even hear their music. Piper’s definitely a fish out of water. My Cinderella isn’t the typical Cinderella. It’s a guy: Toby from Saving Toby by Suzanne McKenna Link. I chose Toby because he starts out as “one of those bad Faye boys” and turns his life around in ways he never thought he could. Lola and the Boy Next Door by Stephanie Perkins definitely has a cast of eclectic characters. Lola’s a future fashion designer. Crickett is an inventor. Calliope is an ice skater. Lola’s has two gay dads and a rock star boyfriend. Ahhh. This question again. I’ll stick with the same answer. Brilliant: The Evolution of Artificial Light by Jane Bronx. I couldn’t even finish it. It was like reading a text book. Great information, but not enough excitement. So many books could go under this category. I swear almost every story has something that could fit. I’m going with Christian Grey from Fifty Shades of Grey, Fifty Shades Darker, Fifty Shades Freed and Grey by E.L. James. The dude had a terrible childhood and it shaped him into who he became. I wouldn’t say it’s necessarily a big book in length, but I did put off reading The Fault in Our Stars by John Green for a long time simply because I knew it would be a very emotional book to read. Sometimes, I just not in the mood for sadness. I did find the story to be beautiful and not depressingly sad once I read it. I’ll always be glad I did. I’m going to say Blake Brennan from There is No Light in Darkness by Claire Contreras for this one. Blake really wants to know the secret behind her parents’ violent deaths and her past. Having this wish granted may not lead to the answer she’s hoping to find. Well, I hate to love this character. He’s very bad. He’s a motorcycle gang leader. He’s a murderer. He’s a criminal. He’s a kidnapper. He’s everything I should hate in a character, but I can’t help but love him. He’s Grizz from Nine Minutes by Beth Flynn. Now, let the tagging begin! I tag the following friendly bloggers, if you want to participate and haven’t already been tagged.